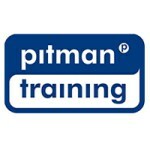 Pitman Training Centre Wexford offers courses that help people get the skills they need for their careers. At Pitman Training you have a wide selection of training courses, seminars and group classes that aim to prepare you within your career field. Our Wexford centre provides an excellent environment for learning and offers support and encouragement, while giving students the flexibility and independence they need to focus on the primary skills they need to obtain. Our training is run though flexible, self-paced study so you can fit your training around any commitments you currently have. So whether committed to the school run, working full time or currently on shift we will have a training time to suit. You will be fully supported by highly trained supervisors in a modern training environment while you complete your studies.